The Anheuser-Busch School of Business offers undergraduate on-campus and on-line programs to educate students in the art and science of business. These programs prepare students to become business leaders with a global mindset equipped with the ability to identify, analyze and solve complex business problems. The mission of the Anheuser-Busch School of Business is to offer a continuum of high-quality programs to matriculate students who are well-rounded in liberal arts and business. The programs foster development of knowledge and skills necessary for gainful employment and successful pursuit of graduate degrees. The School creates an environment that promotes the intellectual, ethical, and social growth of students through critical thinking, superior verbal and written competencies, and decision-making skills in a technologically complex and diverse global marketplace. The mission of the Accounting program is to provide a well-balanced educational program that will prepare students to enter the field of accounting and/or continue their education at the master’s level, in order to qualify for the CPA exam. The curriculum includes a general education core, a business administration core, and required courses in accounting. The mission of the Adult Pathway to Success program is to provide a unique opportunity for adults with a minimum of four years of business experience to complete a Bachelor of Science degree in Business Administration while working full time during the day. 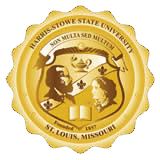 The program can be completed in as little as 18 months for students who have completed an Associate of Arts degree, which meets the Missouri State General Education requirements or who have completed 60 semester hours from an accredited college or university that can be applied toward Harris-Stowe State University requirements for the Bachelor of Science degree in Business Administration. The program requires a formal application and approval of the Dean of the Anheuser-Busch School of Business. The mission of the Business Administration degree program is to provide students with a solid and well-rounded education in business that prepares the students to meet the challenges of a dynamic work force and prepare them for an advanced degree. The program has three emphases, including management, entrepreneurship and marketing. The mission of the Entrepreneurship emphasis is to provide a quality educational program and experience to students interested in owning and managing their own businesses. The program strives to prepare individuals by providing a curriculum in entrepreneurship, as well as in other academic disciplines, such as management, marketing, information systems, economics, accounting, and finance. The mission of the Management emphasis is to graduate students who are well-rounded in management and business for a career or graduate studies that require critical thinking and decision-making in a technologically complex, dynamic, socially, politically and culturally diverse business environment. The mission of the Marketing program is to equip students with knowledge and skills needed to build a successful marketing career. Special focus is given on how to design and implement programs to efficiently communicate and distribute products and services to consumers. Marketing students learn to make decisions about product design and quality, pricing, advertising, channels of distribution, and personal selling, in order to enhance consumer satisfaction and further the goals of businesses. The mission of the B.S. Degree in Finance is to equip students with the knowledge, skills and ability to manage money, deal with investments, and assess risk and return in order to maximize corporate profits. Students will learn how to manage the assets of businesses, institutions, and individuals. Students will learn market analysis, the making of sound investments and how to track the flow of money. The B.S. Degree in Finance prepares the students for many careers available in the field of Finance, including financial advisor, investment banker, financial planner, credit analyst and loan officer, both in government and in the private sector. In addition, the B.S. Degree in Finance prepares students to pursue higher levels of education. The mission of the Health Care Management program is to provide a quality education to students planning to enter management positions in a variety of national and global health care settings. Students are prepared to pursue careers in a variety of settings such as hospitals, pharmaceutical and medical equipment companies, health insurance firms, managed care organizations, physician group practices, home healthcare centers, long-term care facilities, public health institutions, ambulatory care clinics, and consulting companies. The program provides a professional curriculum with related academic disciplines in management, marketing, information systems, economics, accounting, and finance. In addition, students with a B.S. Degree in Health Care Management are prepared to pursue higher levels of education. The mission of the Hospitality and Tourism Management program is to provide a quality, well-rounded education for students entering management positions in the hospitality and tourism industry. The intent of the program is to provide an avenue for students to enter the field of hospitality and tourism management and to promote the diversification goals of the industry. The mission of the Information Sciences and Computer Technology degree program is to prepare students to meet present and future technological and management challenges. The curriculum is designed to provide a solid foundation in computer hardware and software, systems design, communications, and project/team management skills for the rapidly changing IT industry. The program has two emphasis areas: computer studies and management information systems. The mission of the Computer Studies emphasis is to provide a well-balanced program that will prepare students to enter the field of information sciences and computer technology. The curriculum includes a general education core, a business administration core, and an information sciences and computer technology major core, with an area of concentration in computer studies. The mission of the Management Information Systems (MIS) emphasis is to prepare students for a leading role in this rapidly growing field of study. The MIS emphasis gives students an understanding of the importance of information systems as a management tool in the planning, control, and decision-making activities of the organization. The program of study introduces students to the concepts and methods of analyzing, designing, planning, and managing simple or complex information systems. It emphasizes the managerial aspects of information systems by providing a solid base of business courses and computer science courses common to the Anheuser-Busch School of Business. Special focus is given on how to design and implement programs to efficiently communicate and distribute products and services to consumers. Marketing students learn to make decisions about product design and quality, pricing, advertising, channels of distribution, and personal selling, in order to enhance consumer satisfaction and further the goals of the businesses. After all approvals have been obtained for admission to a specific degree program, the University will send a formal letter of admission signed by the Dean of the Anheuser-Busch School of Business and the Vice President for Academic Affairs. Note: Transfer students transferring more than 30 credit hours must apply for admission to a program, as defined above during the first semester at HSSU. The Anheuser-Busch School of Business faculty is engaged in an ongoing assessment of the quality of the degree programs.